Nurul Ali. 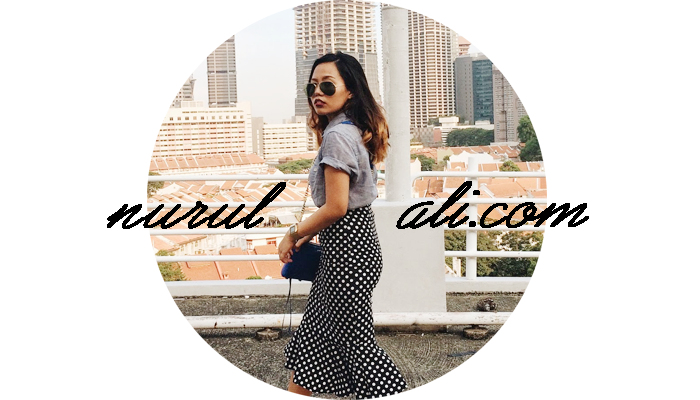 | Singapore Fashion & Lifestyle Blog: Give me that link already! Give me that link already! I'm thinking of changing my current blog link. What do you think? Yeah sure, I've been using that link since I was 16 and there was so much memories.If you must know, the blog started with my sister being the main author. 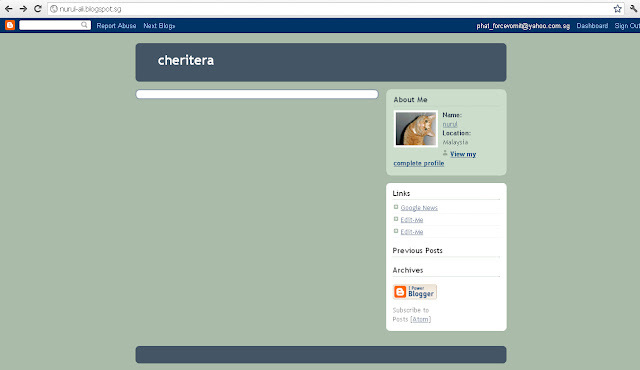 She's the one who created this blog and I was merely sharing it with her. She was the one whom somehow introduced me to the blogging world. Funny how a sister who is 2 years younger knows so much more about blogging back then. Shame of me! Things happened. My sister left http://speak-of-dedivas.blogspot.com to me and she created a new blog for herself. I carried on with the blog, penning my thoughts and stuff and amazingly still blogging at this age! Okay I just made it sound like as if I'm so old like that. Helloooo user from http://nurul-ali.blogspot.com! Can you kindly please delete your blog and give the link to me if you're not even using it?? And what is that? A cat profile pic? You mean, a cat can blog? Zzzzz. How wasted. The link could have been mine! All mine! Suggest me some blog links that suit me if you have!